Home Chef is a meal delivery service that delivers delicious well-known and classic home-cooked dishes that often come with a twist. This company provides only fresh, best farm ingredients for each meal. These fantastic meals can be made in about half an hour. Delivery Area: 97% of the U.S.
Sun Basket which a great meal delivery service that is all about healthy and organic food choices. They always use sustainably sourced seafood, responsibly raised meats and poultry, and only work with trusted suppliers. They specialize in tasty half an hour recipe. Every meal delivering service is only good as the meals it offers, so naturally, that’s where we are going to start off this comparison review. If we are speaking in terms of variety, Sun Basket clearly has the upper hand. The company has an amazing selection of 18 different dishes every week in their Classic Menu alone. And within that menu, the customers can find different choices that cater to their nutritional requirements. 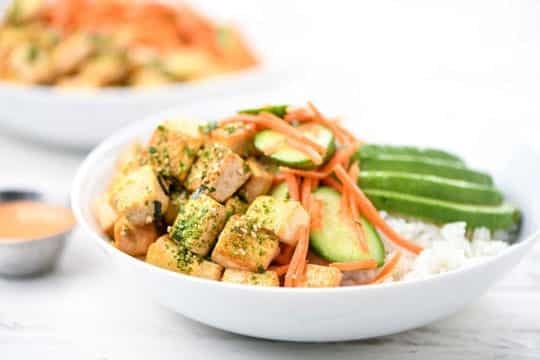 That means, the services offer different plans gluten-free, paleo, vegan, vegetarian, and even lean and clean menu for all of the athletes out there that want their diet to help them build more muscle mass. And the best thing about Sun Basket – they allow you to mix up the different ingredients offered in different meal plans. So you’ll never have to worry about getting bored with your meals. But you shouldn’t think that Home Chef slouches in this category. They offer a good selection of 12 dishes weekly. What’s more, they also have a special offer for people on the go. Home Chef has a no-cooking-required lunch option that takes only around 3 minutes to prepare. Still, if you’re looking for variety, Sun Basket clearly takes the cake in this category. Next up, we have the ingredients: since people are becoming more and more health-conscious, expectations for meal services to deliver top-notch, organic products has never been higher. And wouldn’t you know it, both of these meal services are known for delivering high-quality vegetables, meats, and seafood. On one hand, you have Sun Basket, a company that has one-of-a-kind promise to all of their customers that the ingredients they use are 100% organic and sourced sustainably. If you have any concerns about your health, you will surely love this promise. In our opinion, this is what separates Sun Basket from all of the other companies on the meal delivery market. However, we simply cannot pick a winner in this category because Home Chef also has an ace up its sleeve. They only work with well-known farms like World Wide Farms and Paysan Breton Butter. From them, they acquire fresh veggies and herbs for their dishes. Plus, they work with the famous Sea to Table company, that ensure that the seafood on your plate is of the highest quality. Even a good recipe is nothing if it doesn’t energize your body you are finished with your meal. Now, the dishes we reviewed all have from 500 to 700 calories, all of the ingredients come in refrigerated boxes made out of recyclable material, and are healthier than the average meal you prepare at home. Not to mention, they are much healthier than the cheap drive-through food you are so accustomed to. Companies that fail to use all-organic vegetables all suffer from the same problem: their pre-chopped veggies have a short shelf life and lack the proper nutrients. But since that isn’t the case with Sun Basket and Home Chef, their vegetables are jam-packed with vitamins plus will stay fresh for more than a couple of days. If you want to know more about the nutritional values of these meals, we recommend you visit the official websites of both companies. There, you will find listed everything from calories and carbs, to sodium and saturated fats. Every meal has different values, so we won’t list all of them here. This is another category that has to be declared a draw since both companies are top-notch in this field. If you google Sun Basket for just a minute, you will find that what most users are impressed with is the wide variety of the recipes they offer. The service allows you to try some exciting, and dare we say, outlandish dishes you probably didn’t think about trying. You have the fish tacos with avocado, ginger sesame chicken, and curried black lentils – all of which are incredibly delicious. And if some of these recipes seem complicated – worry not – every Sun Basket box comes with a recipe book that details the preparation in small detail. Plus, you can also check their handy app for further instructions if you need them. With tools such as these by your side, you’ll be able to prepare some complex dishes and surprise your family members with your cooking skills. We are sorry to say, but in terms of flavor, Home Chef is sort of limited. Most of the dishes offered are nothing new and won’t get you excited like some dishes from other meal services we reviewed. While there are some exceptions – like the pan-seared steak with roasted potatoes and cipolin onions – most meals are pretty mundane. In this category, Sun Basket wins by a landslide. 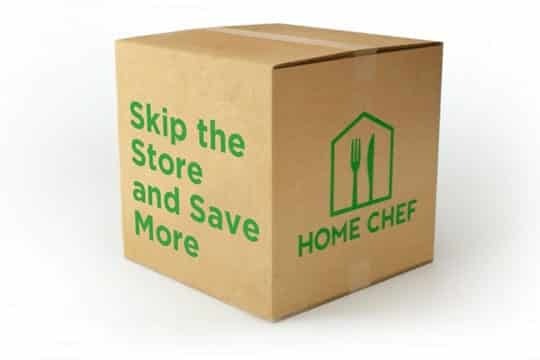 Home Chef provides its deliveries in unique cardboard boxes that are labeled with their logo and recyclable. They place any food that needs to be refrigerated such as tofu, seafood and meat at the bottom of the packaging with ice. You order will stay cooled and fresh during the delivery process. The company delivers food to 98 percent of U.S. Their support team will respond very quickly if you need any assistance. This company deliver their food to 47 States in Continental U.S., except some parts of New Mexico, Hawaii, Montana, and Alaska. And the shipping is $6.99. Switching plans – You will be able to switch meal plan if you don’t like what’s on the menu. Cancellation – You need to cancel your order before it is shown as processed. Otherwise you won’t be able to cancel it. Refunds – Home Chef will offer you full or partial refund if you don’t like the meal or ingredient that you have ordered. Gift – The Company may offer you some vouchers, or their gift cards. Free Trial – Sometimes, Home Chef offers subscription or free trials. Customizable – This meal delivery service will allow their clients to register, specify eating preferences, change the plan, select desired dishes or change your payment method. 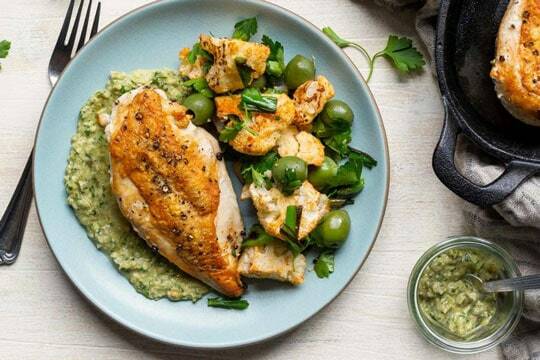 Switching plans – This meal delivery service allows their customers to quickly change meal plans through the app or their website. Cancellation – Sun Basket allows its clients to skip or cancel a meal plan order at any time. But bear in mind that the order is not already processed. Refunds – The company will offer you a full or partial refund if you are not happy with the delivered meals. Gift – From time to time, this service provides their users with rewards, promotional gift cards credits and vouchers. Customizable – Sun Basket is very flexible. You can easily register, pick a different meal plan, specify your dietary preferences, and change the method of your payment. What more can be said about Home Chef and Sun Basket? In the end, you have to understand that while both companies are great, they still cater to completely different audiences. That means, all of this may come down to preference. Sun Basket, as you’ve seen, is all about healthy, organic food that is both good for your body and taste buds. 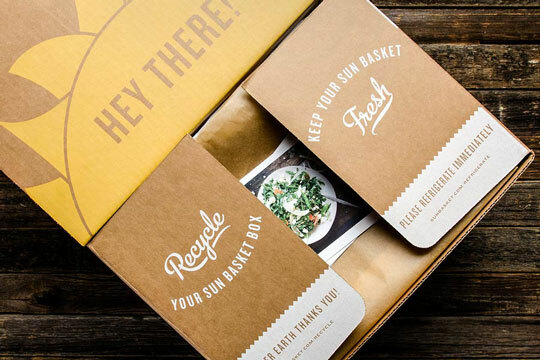 And if you’re following a specific meal plan – like vegan or paleo – then Sun Basket is the only choice for you, on the over-crowded meal delivery service market. But if you are not looking for anything specific, and you just want to have a good old home-cooked meal, with a dash of variety, you can try Home Chef. Their meals are not too complicated – some may think that they even fall on the ordinary side of things – but they are delicious nonetheless. Since we have to make a pick, we are going with Sun Basket due to their versatility and commitment to bring sustainably sourced, organic meals to kitchens all across the globe. Stop waiting – add some variety and nutrients to your meals as soon as possible with Sun Basket.